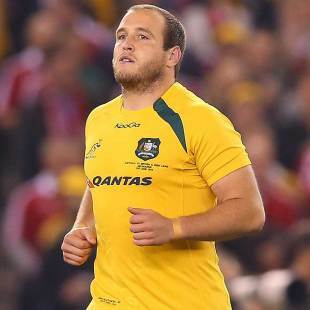 Tighthead prop Ben Alexander will miss Australia's three-Test series against France with of a nerve compression injury. The Australian Rugby Union said in a statement on Sunday that the 61-Test Wallaby would be replaced by Paddy Ryan in the 32-man training squad ahead of the first Test against France on Saturday in Brisbane. The second and third Tests are to be played on the following Saturdays in Melbourne and Sydney. Wallabies coach Ewen McKenzie said the tough French forward pack played a part in the decision to rest Alexander. "When you consider the challenge we'll face against an extremely physical and abrasive French scrum, we all agreed it would be better suited for Ben to use the upcoming period to rehab the injury and regain his strength," McKenzie said.